Hey! Are you in the Christmas mood already? 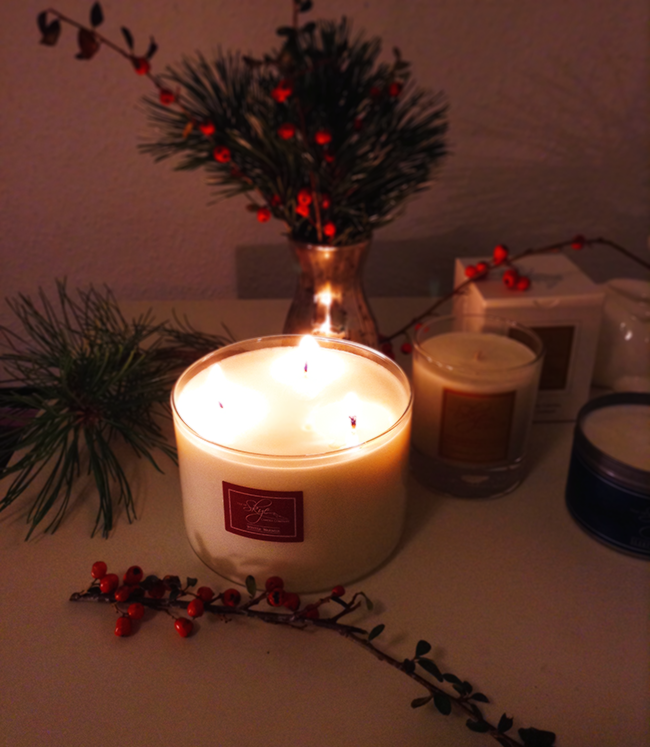 I don't have a Christmas tree or decorations in my dorm, so I decided to get some pine branches, red berry twigs and I think it looks very Christmasy in a little silver vase! 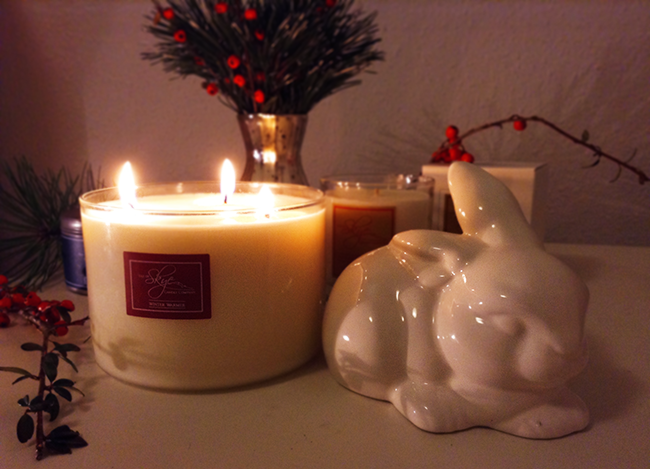 But nothing gives the mood as a lovely scented candle! 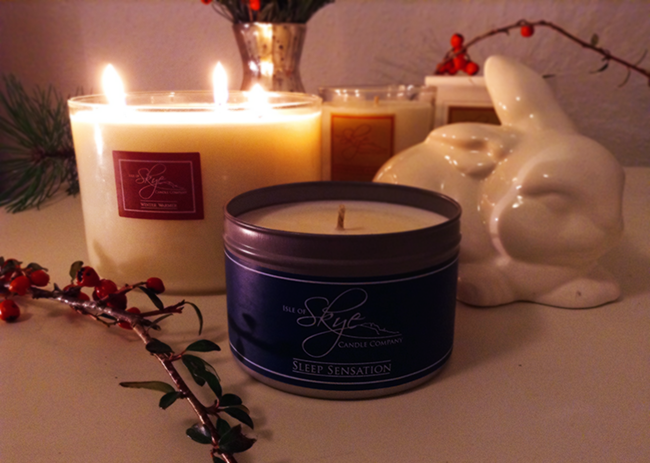 I recently got some new candles from Skye candles and they are perfect for the cosy winter time. 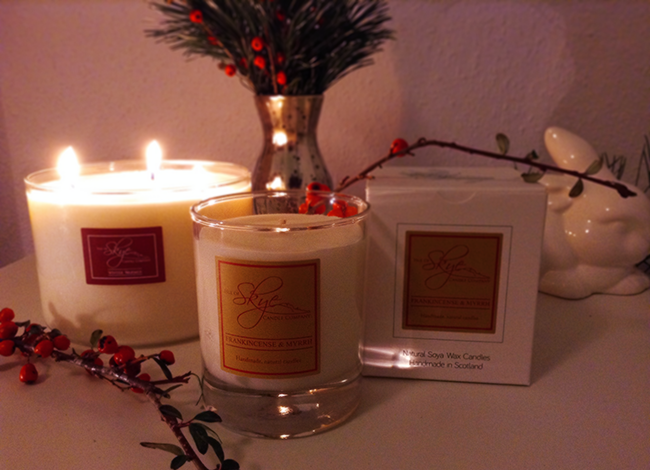 Skye candles are handmade from natural soya wax, they burn so long, and the scent... the scent is divine. My favorite is 'Winter warmer'. 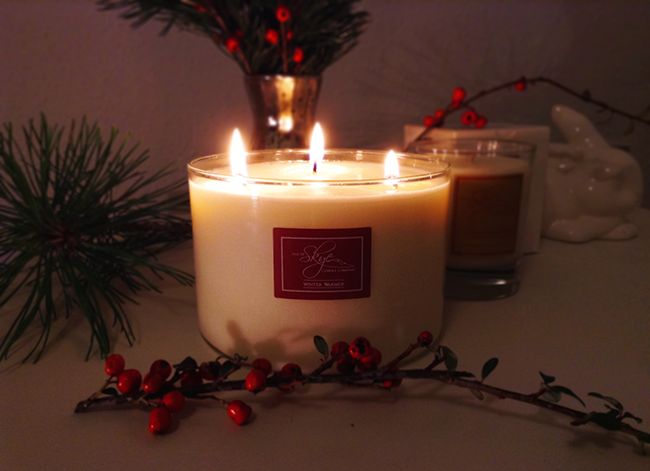 Orange, cinnamon and a hint of cloves - it's smells just like Christmas, really! I also got 'Frankincense & Myrrh' which is a very rich, spicy scent, perfect for the winter as well, and 'Sleep Sensation' which smells exactly as it's described, with lavender, tea tree and grapefruit it's a perfectly refreshing and relaxing scent. 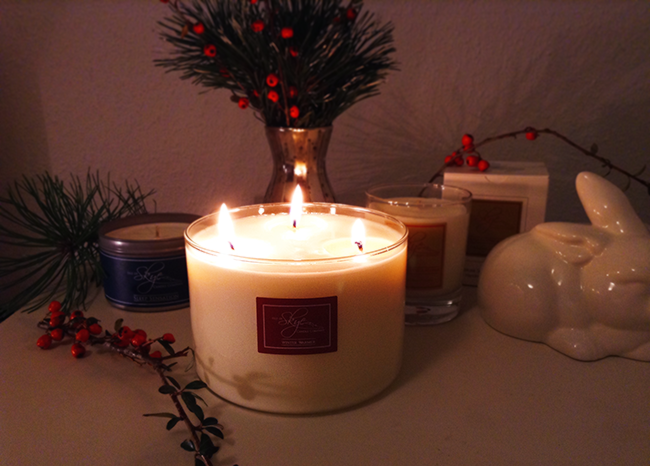 I just love discovering new candles and different scents!